Does your roof look tired? Are there some obvious signs of wear or damage? 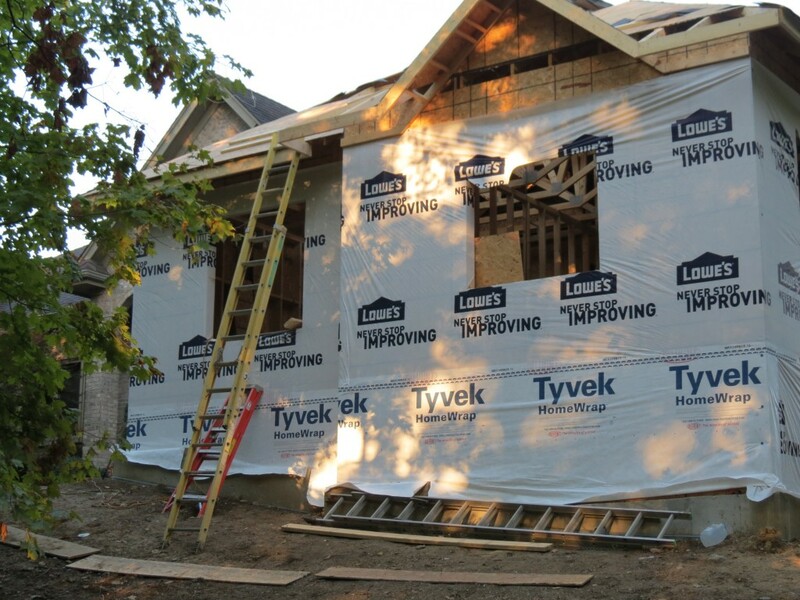 Replacing the roof on your Dayton, OH home usually isn’t high on most homeowners priority lists and it’s usually a decision that is generally forced upon the homeowner at a very inconvenient time. Usually it’s a roof failure that spurs a customer into contacting us. So what if you’re one of those conscientious homeowners who diligently likes to care for and maintain their home? How do you even know when your roof is telling you it’s time for a roof replacement or at least a thorough inspection from a pro? 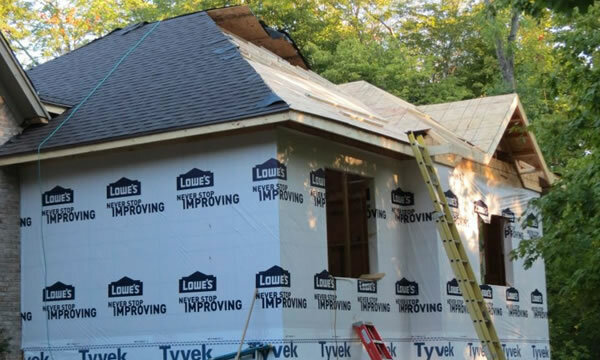 “How Do I Know If I Need A New Roof” can be a problematic question for many Ohio homeowners especially if they aren’t the family who originally constructed the home. As a home changes hands usually so does any knowledge of what products have been installed on or inside the home, who was the actual installer and when. If you’re the 4th or 5th owner of a home and you don’t have any information on the roofing material used, what brand or shingle type or when it was last replaced then you already know exactly what we’re talking about! Thankfully, the team at Ohio Home Doctor can provide you with a few tips so you can at least easily make the determination if you need to call a professional roofer or not. Most of the residential roofing systems we encounter throughout Dayton, Springboro and Centerville are Asphalt Shingle or Laminated Shingle roofing systems from a wide variety of manufacturers. Depending on the quality of the shingle and the quality of the installation you can expect to get 5 – 50 years out of your roofing material, yes, that’s a very wide range of roofing lifespan! There are certainly some roofing materials that are much better than others (metal for example) and offer much more protection and durability, but even the finest shingle can be compromised if it’s installed by an inexperienced or “rushed” roofing crew who doesn’t take the time to do things right! If your roof has recently been damaged due to a storm or you suspect it might have been damaged due to tree branches or hail impacts then it’s important to have the roof inspected as soon as possible, don’t wait! If the damage is going to be covered by your insurance company they will want you to act sooner than later. If you’re missing shingles or you can see there is visible damage to the roof then don’t wait, call us now – 937-605-6882. If you’ve spotted some obvious roof leaks or water damaged areas on the inside of your home then it’s really important to trace and find the leak as soon as possible, don’t wait! The biggest problem with roofing leaks is that water can travel a long ways once it gets inside your home and it can take some very puzzling paths sometimes! One thing is for certain, water coming into your home via a problem with your roof is not good! It could be as simple as some roof flashing that needs to be replaced or installed properly or as complicated as a whole roof replacement if it’s wearing down and the materials are failing. It’s amazing how many roofing problems we see in the field that lead right back to poorly installed or even completely missing roof flashing. These tiny roofing details are what help to direct water away from the joints and seams that surround protrusions in your roof like a chimney or roof vent and they also usually follow along your roofing seams between stories, along dormers and any other wall to roof seam on your home where two surfaces meet along your roof. Proper roof flashing is critical to your roofs performance and keeping the water OUT! Roof flashing is usually made out of metal or in some cases plastic (around vents and pipes) and the metal flashing is often custom fit on-site for the home and the particular place it’s being installed. A $10.00 piece of flashing can literally cause $1000’s of dollars in damage to your home if it’s missing or poorly installed. The problem with flashing usually get’s much worse when it’s not discovered for a long period of time. This will lead to water damage within your home, which leads to mold and it’s going to be expensive to fix! Visually inspect the flashing around your chimney or other roofing protrusions if you suspect a leak. Is the flashing missing? Is it out of place or damaged? There is an attic in most homes and through the attic you’ll be able to see the underside of your roof decking. This is a very easy thing to do if you are mobile and have access to your attic and a flashlight. By looking at the underside of your roof, especially the areas around a roof-to-wall seam (if you suspect flashing causing a leak) you’ll be able to see any water soaked or water stained areas and can better pinpoint the location of a leak. If the problem has gone unnoticed for a long time it’s likely that the roof decking could be rotting and this is when it begins to sag. 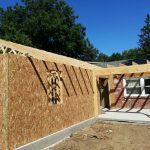 If it’s really gone on for a long time it can actually lead to structural rot of the trusses and framing in your home, ruined insulation and more. If you’ve ever looked closely at your roofing material (if you have an asphalt or laminated shingle) you’ll notice what appears to be grains of rough sand embedded into the surface of the shingle. These small grains of sand or aggregate are your shingle granules. If you’ve ever cleaned out your gutters and found handfuls of what appeared to be “sand” in the gutter then you’ve experienced shingle granule loss. It’s normal for a roofing system to shed some of these granules over time but if you’re scooping out handfuls of this material from your gutters every few months it’s time to call a professional to take a look at your roof and if it’s in need of replacement or will still be good for a few years yet. What About The Moss and Algae All Over My Roof? There are a lot of roofers who’d love to sell you a new roof but don’t assume because your roof is really dirty or that because there is moss growing on it that it’s in need of replacement! Do we recommend you continue with your dirty roof? No… Not at all. If your roof is covered in moss and algae it’s not shedding water like it’s supposed too. There are local services that provide a service called “roof soft washing” and they will be able to safely and efficiently clean your asphalt shingle roofing without damaging the shingles or causing excess shingle granule loss. If your roof has been covered in moss and algae for years then it’s a good candidate for a thorough roofing inspection but without checking all areas of the roof you won’t be able to know for sure if the roof needs replacement or just a thorough cleaning. Some homeowners choose to replace their roof because it’s simply dated or doesn’t fit in with their decorating style. With the shingle options available today you can find a style, pattern and composition of shingle that meets both your budget and your designer tastes! If you want to replace your roof to improve curb appeal then it’s time to consider an upgrade to a premium architectural shingle or even the king of roofing materials, a standing seam metal roof! 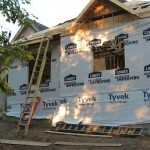 Why Choose The Ohio Home Doctor For Your Roof Replacement Project? When you choose the Ohio Home Doctor team to replace your roof you are partnering with a small team of craftsman, all with the common goal of making your home a better place. 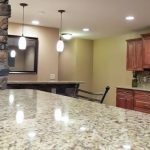 Every employee strives to be the best home remodeler he or she can be and will treat your home as if they were working on their own. We keep a clean, safe work area and we’ll bend over backwards to accommodate you during the replacement of your roof as we know it can be inconvenient at times. In the end we promise you’ll be happy with the results and how we’ve improved your home. If you’d like to receive an estimate to replace or install a new roof on your home please give us a call 937-605-6882 or fill out our contact form and we’ll get right back to you.